Book hotel rooms online with us at Monte Da Quinta Suites Hotel at the lowest rate, guaranteed. 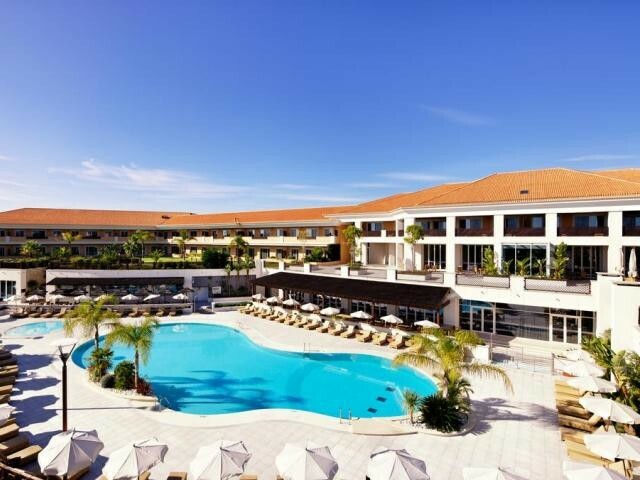 Get a holiday discount room rate at the 4 Star luxury Star Monte da Quinta Suites & Spa located in the luxurious Quinta da Lago resort near Faro in the central Algarve. The complex has 132 holiday rooms and self-catering modern one and two-bedroom apartments providing accommodation from two adults to four adults in a landscaped garden setting. The Monte da Quinta Suites & Spa offer modern contemporary furnished apartments that are all air-conditioned and are equipped with kitchens, balconies, LCD satellite TV, direct dial phones, DVD Player and a safe. Monte da Quinta Suites and Spa has many facilities including a Health Spa with various treatments and massages, a Fitness Centre, sauna and steam baths, Games Room, restaurant and a bar with live music, indoor and outdoor pools, a organised Kids Club, free Wi-Fi and free parking.